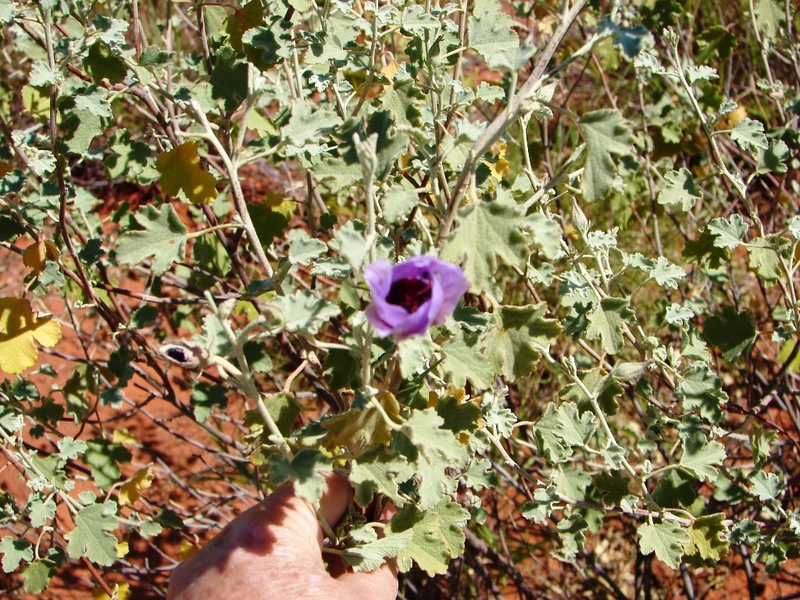 Hibiscus like small shrub with purple to mauve flowers, lobed leaves. 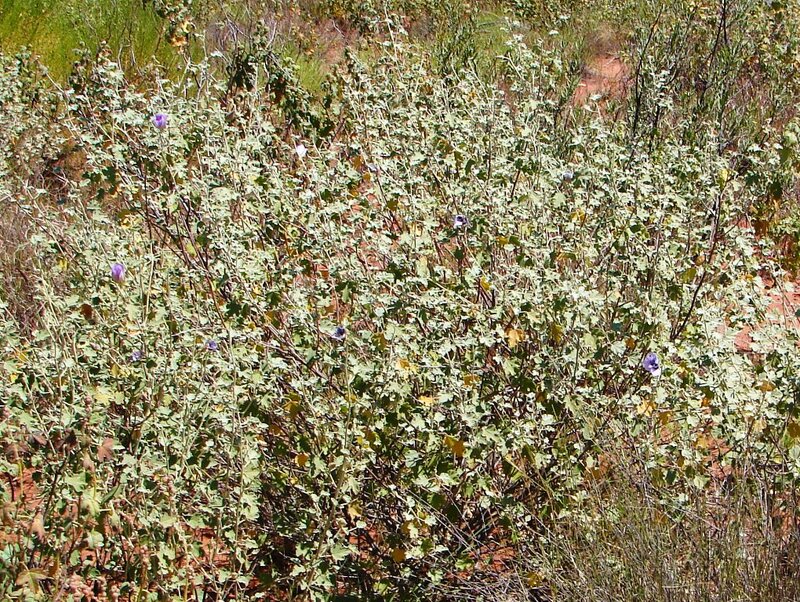 From the West Pilbara coastal plain. This entry was posted in Alyogyne and tagged Alyogyne pinoniana. Bookmark the permalink.